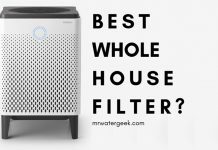 There are lots of whole house filter systems but which is the best whole house water filter for well water? 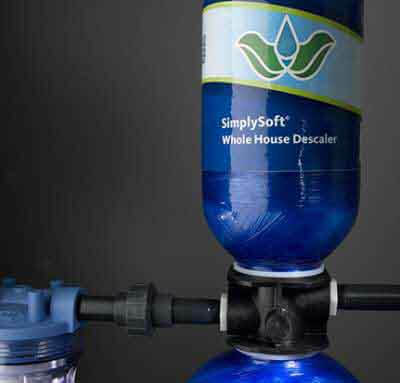 Whole house water filter systems are some of the most popular filtering solutions currently used throughout the country. These systems are so popular because they’re effective, and because they produce high-quality water. But did you know that the best whole house water filters are specially designed to deal with issues that are specific to well water? 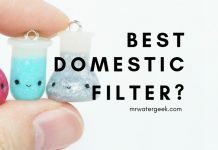 In the following article, I’ll take a closer look at how whole house water filters work, at the advantages and disadvantages of using them. I’ll also present the best whole house water filters for well water and explain why each of them made it to the top of the list. 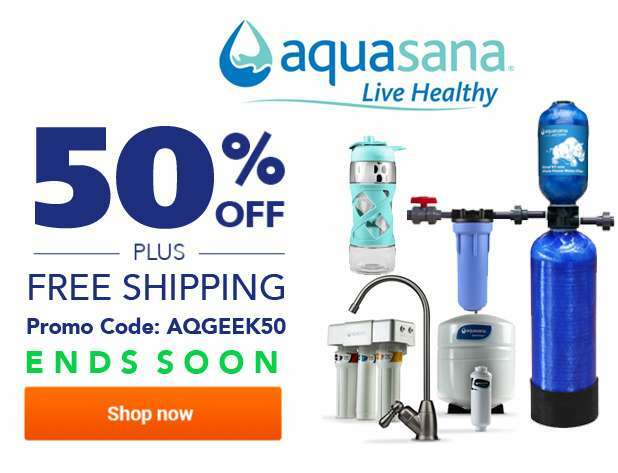 However, Aquasana are currently running a promotion that gives you 50% OFF qualifying purchases using coupon code: AQGEEK50. SPECIAL OFFER: 50% OFF coupon code and FREE delivery using code: AQGEEK50. Best Sediment Filter For Well Water? In the sections below I will provide a short buying guide and review of each well water filter. This will include an explanation of how these systems work, what they’re good for, and how to know if it’s the right model for you. This is a very effective water filtration system for the whole house. The 1 million (1,000,000) gallon water filter means that this is a low maintenance unit. One that you don’t need to worry about for years. The model presented here comes with a professional installation kit. This kit includes brass accessories, a pre-filter, a post-filter and all the brackets and shut-off valves you need for installation. An advantage of this model choice is the increase in the service life of the water softening cylinder. This salt free water conditioning cylinder also has a filtration capacity of 1,000,000 gallons and can therefore last around 10 years before it needs changing. Of course this will also depend on your water consumption. Consumption is easiest to track by taking note of the original value of your water meter and checking it from time to time. Another advantage of using this model is the included professional installation kit. All the components in this kit are first class, so you should not have problems with leaks or broken parts. Brass fittings for 0.75 ft. pipe. Includes filtration tank with optional saltless softening and UV upgrades available. Expensive when compared to a a basic whole house filter. Good filters. The 10-Year Rhino makes use of some of the most powerful filters on the market today. You will notice the difference in your water’s taste and smell as soon as you install this water system. You can upgrade to add on a powerful UV filter that removes 99.99% of bacteria and germs. Unlike traditional water softeners, this system does not produce water wastage as it doesn’t have a drain or the capacity to back flush. The shut off valves are easy to access which makes filter changes much easier. Q: How often do I need to change the filter cartridges? A: You should aim to change the big blue cartridge when you have used 1,000,000 (1 million) gallons of water. Q: How many “clean” baths can this unit provide? A: This filter can provide you with any number of baths because its lifespan is measured in gallons. But if you struggle to know when the 1 million gallon is then just consider the 10 year period as a good rule of thumb. Q: Does this whole house filter treat arsenic? A: This machine has tests and certification that proves that it can filter out things like chlorine. Therefore it’s likely that it will be able to reduce the levels of arsenic as well as other heavy metals. However, if arsenic is a serious concern that you have then you should opt for the Aquasana whole house system called the OptimH20. This system is a lot more capable of dealing with serious chemicals, contamination and heavy metals like lead. The OptimH2O filter is one of the most powerful whole house filters that can deal with high levels of contamination. This includes a certification to reduce lead and cysts by more than 99% – which is among the highest rates of filtration possible. It can also eliminate chlorine, chloramine as well as a number of things that are almost impossible to pronounce. For instance, the OptimH2O can filter contaminants like PFOS (i.e. perfluorooctane sulfonate) and PFOA (i.e. perfluorooctanoic acid). As if this wasn’t enough, this unit comes with NSF / ANSI certifications. These certifications show that it has gone through tests and is certified to remove what it says it will. The OptimH2O comes with Standard 53 and NSF / ANSI Standard P473, which have been independently tested by IAPMO (International Association of Plumbing and Mechanical Officials,). All of this means that it is certified to remove the following. Chloramines and chlorine by 90%. Upgrade to add on the UV filter option. This kills 99.99% of viruses such as coli, bacteria and chlorine-resistant cysts (giardia and cryptosporidium). The result is great tasting and odorless water for drinking and cooking. It also reduces chlorine on your body and can remove chloramines and other synthetic chemicals that can cause dryness to your skin and hair. It has a filter flow rate of about 8 gallons per minute, which is ideal for large or busy families. With the LED flowmeter you know exactly when you need to change your filter cartridge. They come with timers that let you know when to replace them. 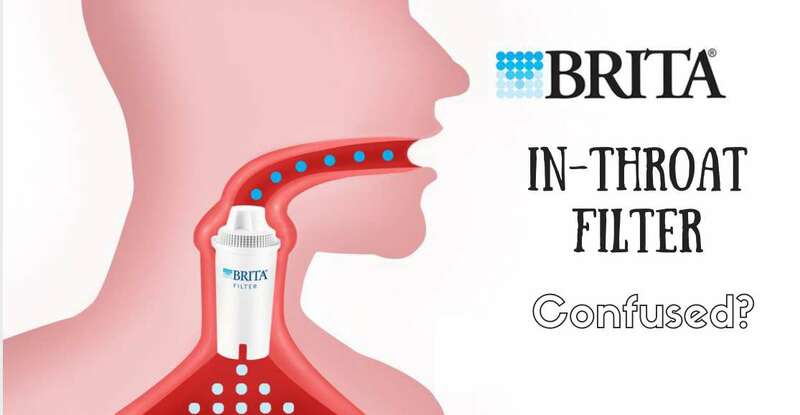 A filtration of up to 0.5 microns reduces lead, cysts, PFOA / PFOS, chlorine, chloramines and more. It has a salt-free softening technology so you can effectively get “soft” water without using salt or harsh chemicals. The huge block of extremely dense carbon offers superior filtration compared to granular media. Catalytic coal and activated carbon undergo ion exchange and microfiltration to achieve the first efficiency of this type. 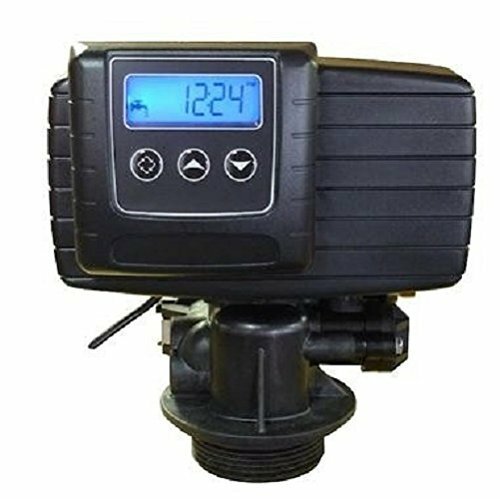 The LED system controls the flow and the water and informs you with a color-coded notification when the filter needs to be replaced. You do not need a plumber to change the filters. The Fleck SXT water softener is the best selling softener available today but it always had the problem of not being able to filter water too. This used to mean that people would have to invest in a Fleck but then also have to figure out how to filter their water. The result of this was always frustration at the extra cost and inconvenience. However, all of that changes with this Fleck SXT model that both softens AND filters your well water. It uses multi-stage filtration that includes activated charcoal and reverse osmosis to filter your water. This model has been designed with well water supply in mind. So it will pro-actively treat your water to remove weird tastes and bad odors. The softener part is able to provide you with a grain capacity of 48000 with fine mesh resin. Making it ideal for homes and family sizes of between 2-5 people. You can also add the under sink filter upgrade option to give your family more protection. 1 high efficiency Pentair 75 gpd membrane. 1 post polish inline carbon filter (this includes storage tank and instructions). It filters the well water through its 5-stage RO filter (reverse osmosis filter) and an upflowing carbon filter system. There are also 1.5 cubic feet of granular activated carbon (GAC). Removes chlorine and prolongs the life of the water-softening resin. This high efficiency RO produces 75 gallons per day. Push-to-fit stainless steel flex line water connectors. Refrigerator water line connector kit. 5 stage high efficiency RO (reverse osmosis) that produces up to 75 gpd of pure drinking water. Standard brine tank with a salt capacity of up to 250 lbs. Recognized by Pentair as an authorized True Blue Partner of Pentair products. Other colors are also available upon request. There is technical support from actual technicians. Staff are available to take calls Monday through Friday 7am to 4pm Arizona time. You can also reach them by text, email and video chat for installation help. Well water has specific issues that can only be treated with specialist filters. This is because well water can suffer from contaminants that are not present in the average home water supply. For instance, water companies will typically be able to remove heavy metals like lead before it reaches your home. Also the average home does not have to worry about things like arsenic contamination. However, a well water owner may have to take all of these into consideration. By far the most effective way to do this is to get a powerful whole house filter that can eliminate everything at source before it even reaches your home. 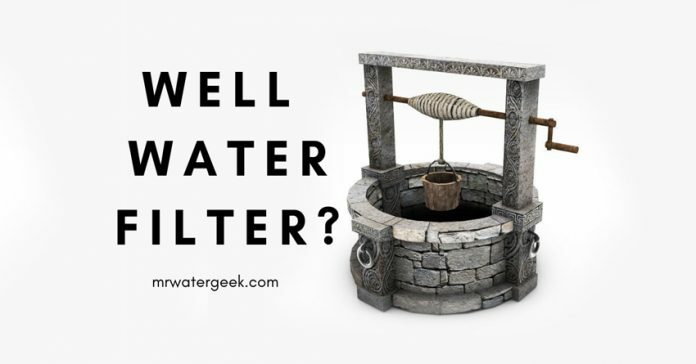 There is almost no point in doing a water test unless you’re going to commit to doing it regularly and buying new filters to deal with new issues.Because the nature of well water is that it’s a lot more organic and therefore likely to change in composition. While, on the other hand, water from the water company or municipal supplied water are more likely to be “standardized” and “homogenized” due to government regulations. 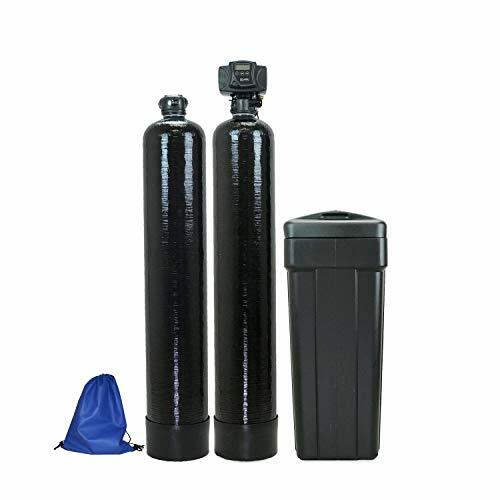 Your best bet is to really choose the most powerful and best whole house water filter for well water that can deal with every type of contamination under the sun. This is why I believe the Aquasana OptimH20 is the best well water filter. It deals with everything from bacteria to lead like no other filter can. 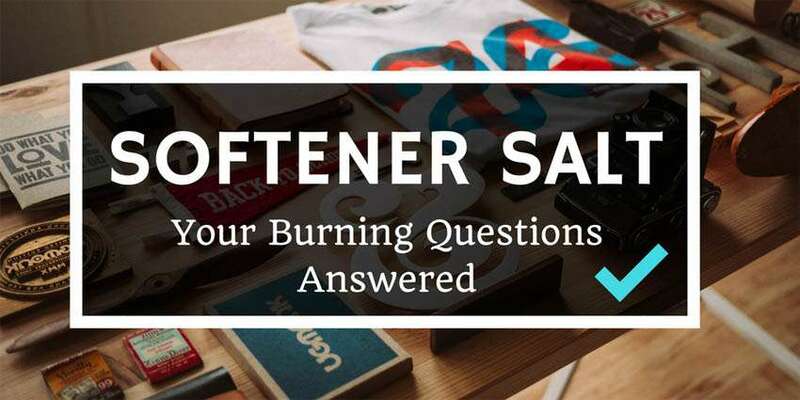 Previous articleTapworks Softener Review: Is It Really WORTH The Cost? Next articleAquasana Water Filter Review: A Total WASTE Of Money? The BEST Domestic Water Filters and ALL Their FLAWS. 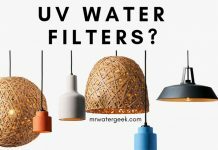 High Volume Water Filter Reviews: Which Is The BEST Model? 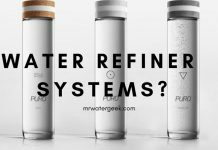 Water Refiner System Review – Is It SCAM or Legit? Hello! I need to buy a whole house water filter for the water coming in from my well. I have both iron and maganese, it’s not too bad, but I do need to filter it. You speak about lead being filtered but not the other two. Does the AquaSana also filter the iron and manganese? I want to filter for those minerals, plus sediment, and odor. Yes, the OptimH2O filter is certified to filter lead as well as all the other harmful bacteria listed in the article. It will deal with all sediments and odors especially if you get the UV filter upgrade. It is not certified to remove iron and manganese so they can’t make this claim. However, this is one of the most powerful filters that I’ve ever seen for domestic use. If it can deal with something as powerful as lead and the most chlorine resistant bacteria then iron and manganese should not be a problem. Also remember that both iron or manganese are not harmful to the body. In fact, they both appear in food and are nutrients that the body needs. So trace amounts in your water (WITHOUT any harmful sediments, bacteria or lead) may not be such a bad thing. EcoWater Softener Review: Is It WORTH The Cost? Is Fleck Water Softener Really WORTH $584.99 To You? Is The Whirlpool Water Softener WORTH The Money? Is Autotrol Water Softener WORTH The Cost? Lead Water Filter Whole House: Is It WORTH it? Aquasana Shower Filter: Is It WORTH The Cost? 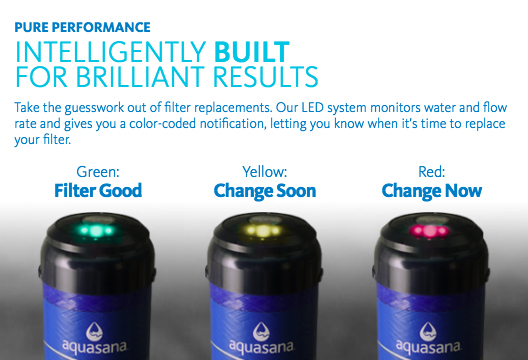 Aquasana Water Filter Review: A Total WASTE Of Money? Are Inline Water Filters WORTH The Cost? Pur Water Filter Review: Is It Really WORTH The Cost?